This post is brought to you in partnership with Head & Shoulders. All views and opinions expressed are my own. 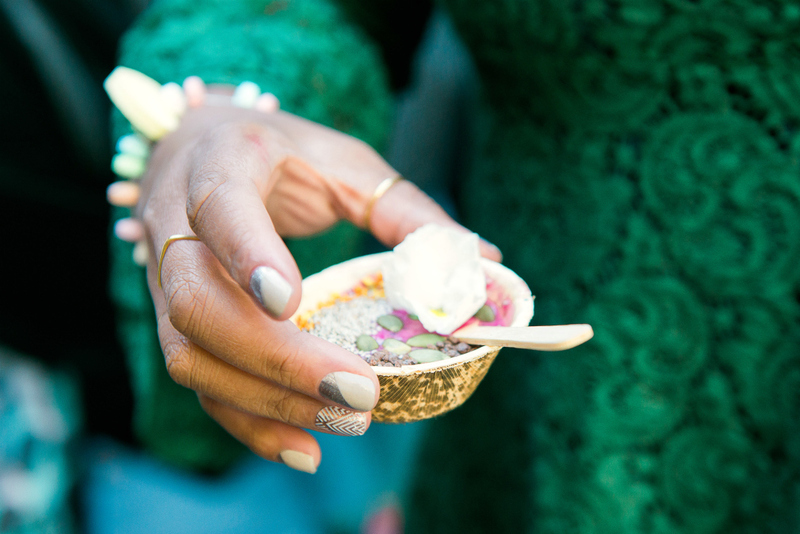 Thanks so much for supporting the brand that make this blog possible! Instead of winding down for the year, December has turned out to be one of my busiest months ever. Between finishing up last-minute client projects and prepping for the holidays, I have almost ZERO downtime for personal maintenance. That means that the few moments I do have to spare on my beauty routine have to be spent wisely. 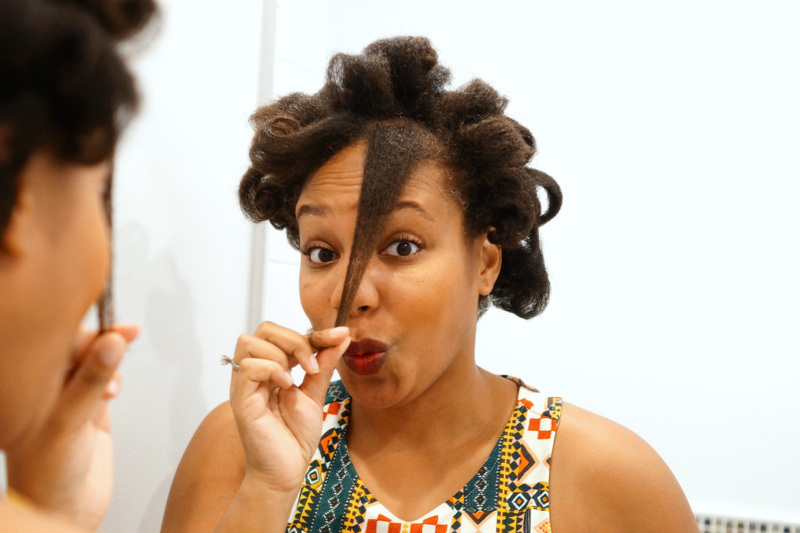 You guys know that I’m generally no-fuss, no-muss when it comes to styling my natural tresses, so I just wanted to share my one of my easy styling methods – that I picked up from my Granny – in this quick tutorial. And I also want to share my review of Head & Shoulders Green Apple Shampoo. My hair is prone to dryness, so I use a sulfate-free shampoo about 80% of the time. But recently, I’ve started a new exercise regimen which means a lot more sweating that can at times lead to a dry itchy scalp. So for those times when I need a little extra sudsing power, or when my scalp feels like it needs some extra TLC, I’ll sometimes reach for my hubby’s Head & Shoulders. For the 11+ years that we’ve been married, this is the only shampoo I’ve ever seen him use. 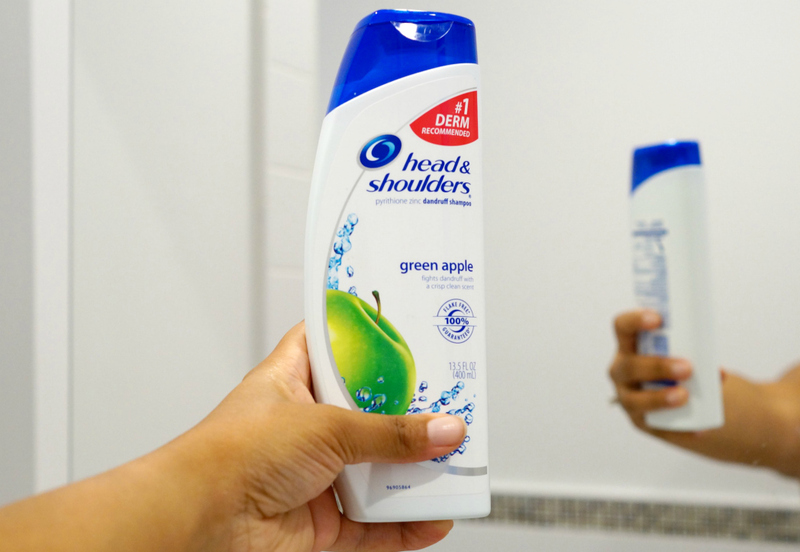 He swears by the Original version, so I was pretty stoked to test out the Head & Shoulders Green Apple Shampoo for a change. If you ever use Head & Shoulders, the first thing you’ll notice is the mild tingly sensation in your scalp. This comes from their proprietary 1 percent pyrithione zinc technology, combined with fresh scent of green apple. Afterwards, my scalp felt refreshed, and my hair was clean but didn’t have that stripped feeling that some shampoos can leave you with. I followed up with a 15-minute deep condition and wrapped my hair in a microfiber towel after rinsing. 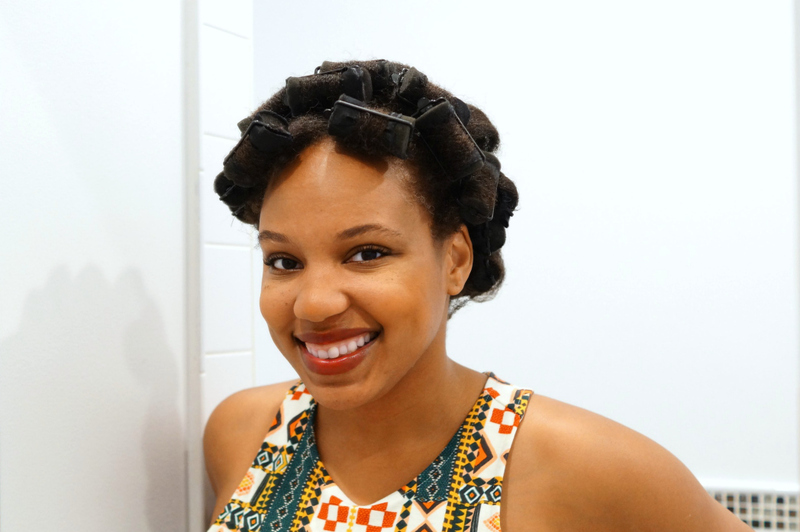 After my towel soaked up most of the moisture from my hair, and my strands were no longer sopping wet, I reached for my trusty satin rollers. These have been a staple in my beauty arsenal for the past 30 years. Back when I was a little girl, one of my favorite things to do was spend the weekend at my grandmother’s house. On Saturday morning, we’d take a trip to the beauty parlor to get our hair done. And at night, she set my hair satin-covered sponge rollers and dress me in one of her old nightgowns before bed. In the morning, we’d wake up and take my rollers out before getting dressed up for church. So everytime, I wear my hair like this I have sweet memories of the time we shared together. By the time I woke up in the morning, my hair was completely dried. After taking my rollers out, I then applied a bit of hair oil to the palms of my hands and lightly rubbed my fingers through my hair and scalp to help break up the curls. My hair was soft, bouncy and free from product-buildup after using the Head & Shoulders Green Apple Shampoo the night before. And my scalp still felt great and not at all tight, itchy or flaky. After breaking up the curls, I then brush my hair up towards the crown of my head and secure it in place with an elastic headband that I cut open in the center and wrap around my head to make a ponytail. 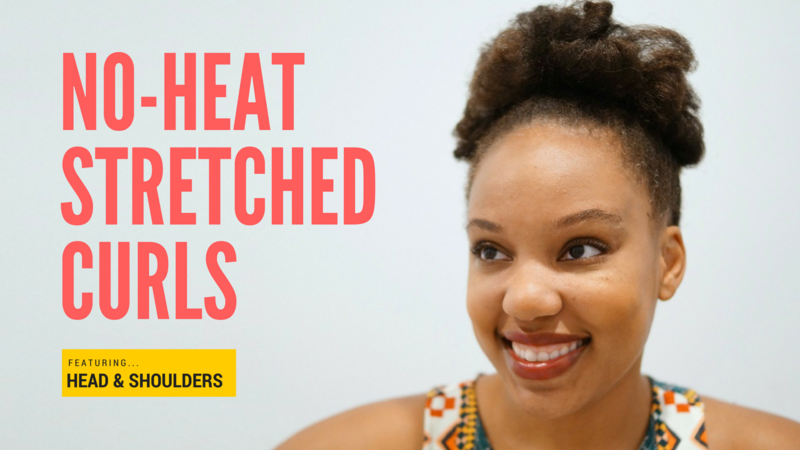 I like using the elastic headbands as opposed to regular hair-ties because it gives my hair a fuller look and is way less tension on my edges. Sometimes when my hair has extra slips, I secure the band in place with 2 or 3 bobby pins as well. This style is a lifesaver because of the time it saves me. Just 10-15 minutes to put my hair in rollers the night before, and another 3-5 minutes of styling in the morning. And because the curls were set while my hair was still damp, this style will easily last 3-4 days just by wrapping in a satin scarf or bonnet overnight. It doesn’t get any better than that! You can find the Head & Shoulders Green Apple Shampoo and many more Head & Shoulders products on Amazon! Having your hair products shipped to your home is a huge time-saver. While I absolutely love traveling and the thrill of having a change of scenery, constantly being on the go can wreak havoc on my skin. That’s why I always take extra care to ensure my skincare game is on point when I’m on the road. Here are my three simple rules for keeping my skin in shape on the road. Drink copious amounts of water. This is hands-down my No. 1 tip. All the beauty products in the world won’t help unless you keep your skin hydrated from within. The ventilation systems on airplanes are notoriously are notoriously drying, so sometimes I even carry a little Evian misting spray to help perk things up a bit. Exfoliate. 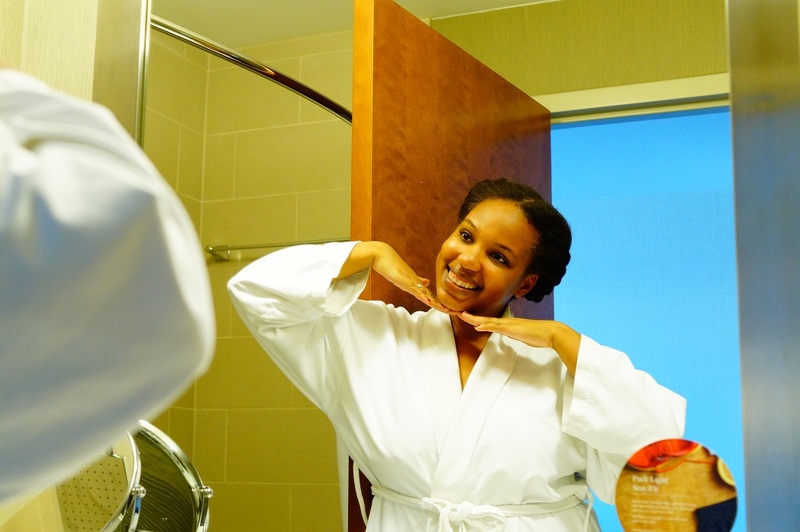 I love to pamper myself while traveling, even if it’s for business. I used to swear by clay masks, but recently switched to glycolic acid peels upon the recommendation of the aesthetician who gave me my last facial at Red Door Spa. 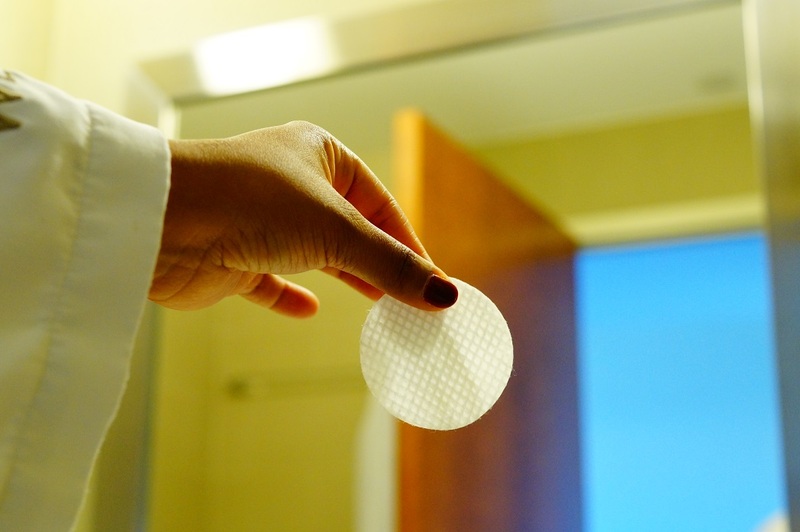 After noticing how dry my skin was and asking about my skincare regimen, she explained how clay masks were too drying for my skin type and recommended Elizabeth Arden’s Illuminating Glycolic Exfoliating Pads. I’ve been using them weekly for the past two months, and they’ve made such a difference in my skin. It absolutely glows now, and I’ve gotten compliments from friends and strangers. Use sunscreen. I’ll be honest, sunscreen wasn’t a part of my daily skincare routine until much later in life. But a couple of years back, I unexpectedly got my very first case of sunburn while on vacation. Up until then, I thought my extra melanin was all the sun protection I needed. But my painful experience led me to do a bit of research, and I learned very quickly that definitely was not the case. A lot of sunscreens I’ve tried are way too heavy and greasy feeling for my face, but Elizabeth Arden’s Triple Factor SPF 50 lotion goes on very lightly and feels quite nice on the skin. I love it’s unique twist-top pump that makes it great for travel because you don’t have to worry about spills and messes. It’s also under 3 oz. which means you can slip it into your carry-on. 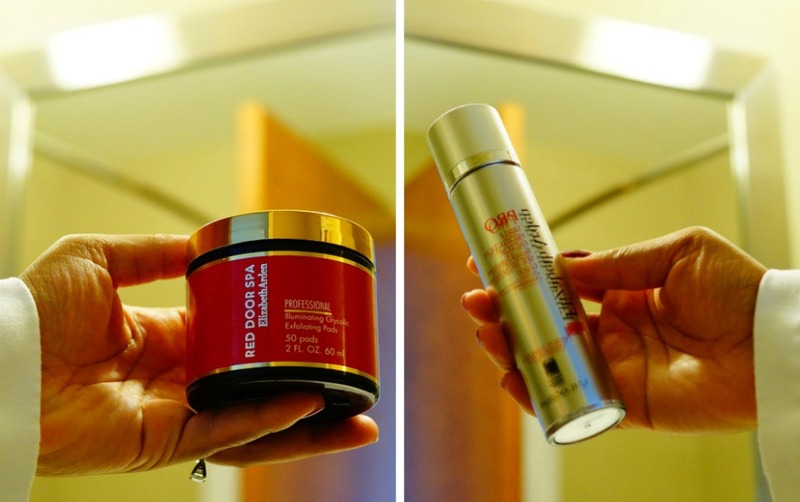 And because sharing is caring, I’m happy to announce an exciting giveaway with Red Door Spa! Just follow me on Instagram and leave a comment on the following post. Contest ends November 4th. Must reside in the US and be at least 18 years of age to enter. 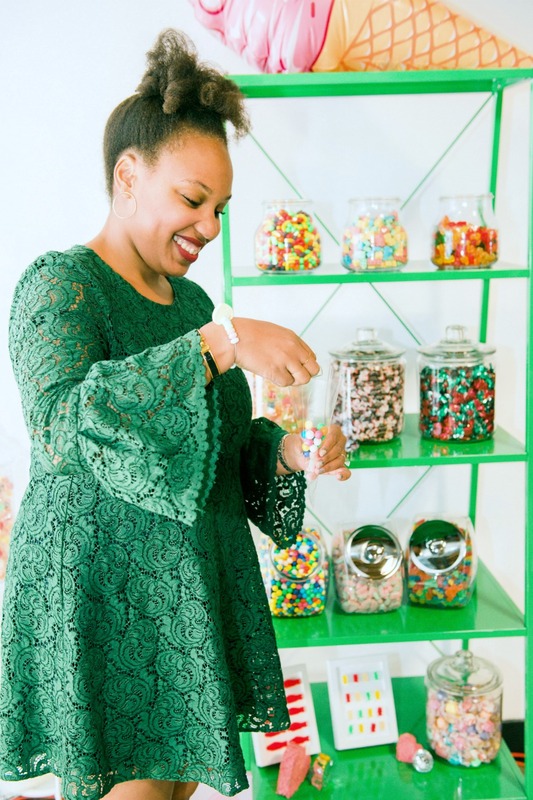 Full Disclosure: I am a Red Door Spa #GalSquad Ambassador and receive products/services at no cost. All views and opinions expressed in this post are my own. Thank you so much for supporting the brands that help keep this site running! 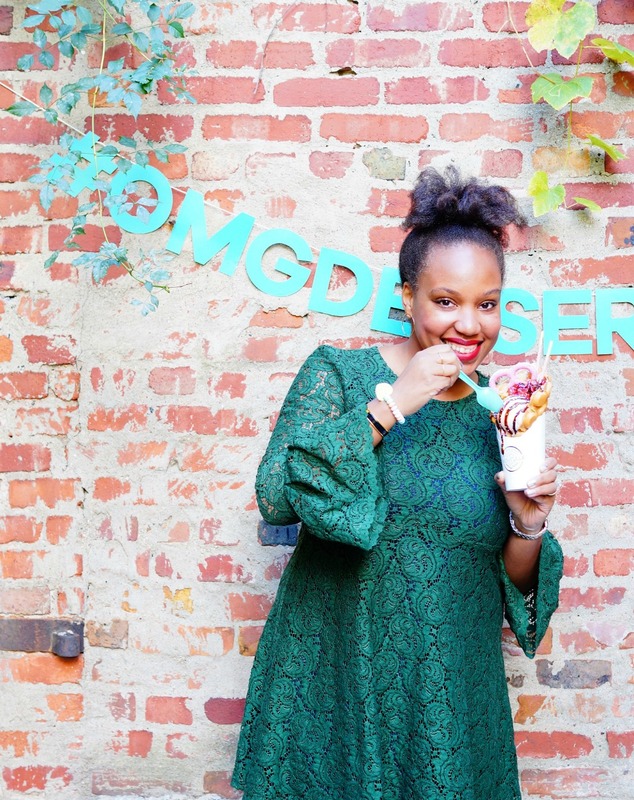 Because summer is a distant memory, and I can now safely hide behind cozy oversized sweaters and blanket scarves, I threw all caution to the wind this past Sunday and enjoyed all.the.things at the Dessert Goals Festival in Williamsburg. 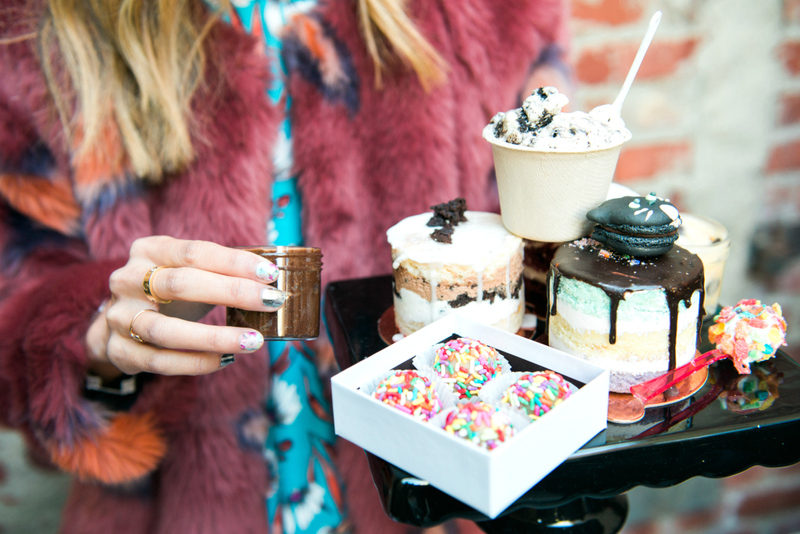 Self-described as ‘basically the best day ever’ (and I wholeheartedly agree) the festival gave sugar-addicted New Yorkers a once-in-a-lifetime opportunity to indulge in some of the best desserts the city has to offer, in addition to featuring special tastings, fun workshops, a rooftop lounge with skyline views of Manhattan, and a dedicated Instagram photo garden. The lovely folks at Jamberry also hooked your girl up with a sparkly mani beforehand. If you haven’t tried them before, Jamberry are flexible wraps that you place over your nails for an instant mani. 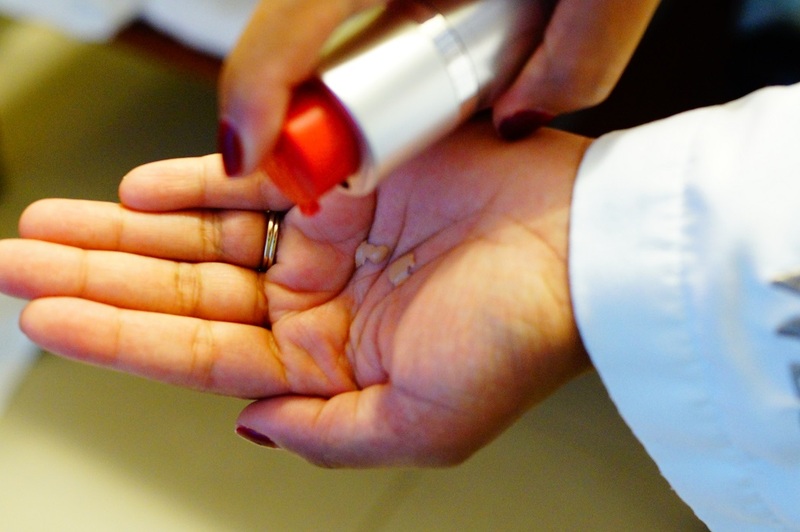 There’s no dry time, and they’re super easy to apply. The only tools you need are a blow dryer to help set the adhesive, a nail clipper and a nail file. They also add new designs constantly, so you never have to worry about getting bored.